The Competent Crew Sailing Course / Ocean Hiker Sailing Course is designed by Island Cruises to give students an in depth insight to all aspects of ocean cruising, boat handling and safety standards. The competent crew course is a sailing course that can be done in as little as 5 days, or as an liveaboard cruise over 5 days and 4 nights. After completing the Competent Crew Course / Ocean Hiker Sailing Course, you will have at least 100 nautical miles logged and you will have taken part in a night sailing cruise of at least 4 hours. This way we fulfill the international standards to certify you as a competent crew. On the 5 day 4 night live-aboard Competent Crew Sailing Course / Ocean Hiker Sailing Course you have the opportunity to sail real passages between the islands of the southern Gulf of Thailand and log therefore more nautical miles for future reference. Koh Samui, Koh Phangan, Koh Tao and additionally the 42 Islands of the Angthong Marine Park are creating an archipelago of almost 50 islands, an ideal sailing ground with a lot of options in terms of wind direction and anchorages for the different monsoon seasons. Island Hopping, sailing from island to island, gives the real feeling of passage making. Going every day to a new anchorage for the night the students will have to take part in a lot practical skill training throughout this 5 days. Living aboard means as well to share the work and responsibilities between the students as it is done on real ocean passages. Find out if sailing the seas is what you are looking for within this 5 days aboard our oceangoing training sailing yacht Freedom Fargo. The skipper and sailing instructor sailed her half around the globe from Trinidad in the Carrebean to Thailand. Definitely the right sailing vessel to get an impression what real blue water cruising is all about. Study materials, drinking water, coffee and accommodation (5 days and 4 nights) aboard the Sailing Yacht, harbor fees, dinghy fuel, yacht fuel, Ocean Hiker certificate equivalent to RYA competent crew, minimum 100 logged nautical miles and 4 hour night sail. Food and alcoholic drinks. During the first day you will learn how to victual a yacht and will get the supplies assisted by the sailing instructor. There is an on board kitty where every participant will chip in, except the sailing instructor who will be supported by the students. a towel, swim shorts, and a jumper for the evenings where it might get a bit chilling. What does the Competent Crew Course Live aboard Cost? Passage making is fun, sailing between the Islands of the southern Gulf of Thailand, spending the night in sheltering bays, while learning to sail a boat; thats what a Competent Crew Course Live aboard is all about. The Competent Crew / Ocean Hiker 5 day Course is starting from Koh Tao and is divided into 2 sections: Theory sessions and hands on training. will be held at the end of the competent crew course. Upon successful completion of this sailing course you will have gained the skills to make yourself useful on a sailboat and you will have the advantage of being a preferred crew member on yachts and sailing boats which sail around the world. This will open completely new opportunities of exploring the world for you and this is also the reason why this course is called “Ocean Hiker sailing Course”! If you’re not sure yet if sailing really is your cup of coffee, have a look at our introductory sailing courses here. 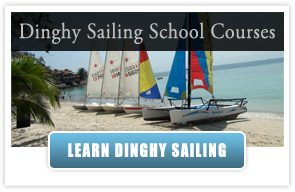 To book this sailing course please contact us here. After completing Competent Crew Course we offer our students the 2 days Offshore Add on. 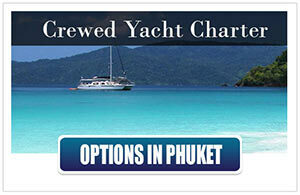 We sail usually to Koh Phangan, a real passage of 25 nM, so together 50 to 60 extra nautical miles for your logbook. Students have the opportunity to apply the newly gained knowledge of crewing on a offshore going Sailing Yacht. This offshore experience is a 2 day overnight sailing passage sailing on the first day to Koh Phangan, anchoring in a sheltered bay, having breakfast and dinner ashore, sleeping on the Sailing Yacht (max 3 people) and sailing back to Koh Tao the next Day. 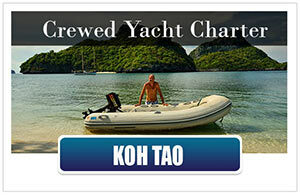 Included in this Add On is basic accommodation aboard and Lunch. Breakfast (2nd day) and Dinner (1st day) will be ashore on your own expense. 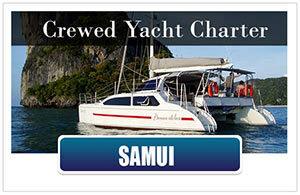 This add on is including accommodation aboard and three main meals. The internship gives you the advantage of gaining first hand experience as a crew member aboard one of the Island Cruises Yachts. 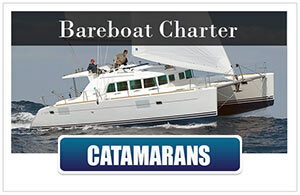 This includes preparation ashore as well as aboard for Full Day and Half Day Charters. Approximately two weeks should be scheduled for this option. We are happy to help you find the right yacht to cruise the oceans as a trained crew member to log hundreds of nautical miles. What you will get: min. 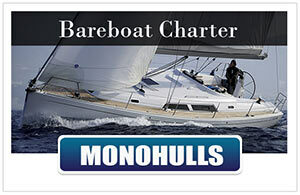 5 days sailing / Logged sea miles / Study materials / extra sailing on Island Cruises Charter Trips. Maximum duration up to 2 weeks. 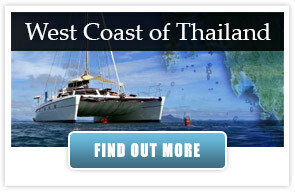 More Information about our sailing courses: Sailing Courses in Thailand. 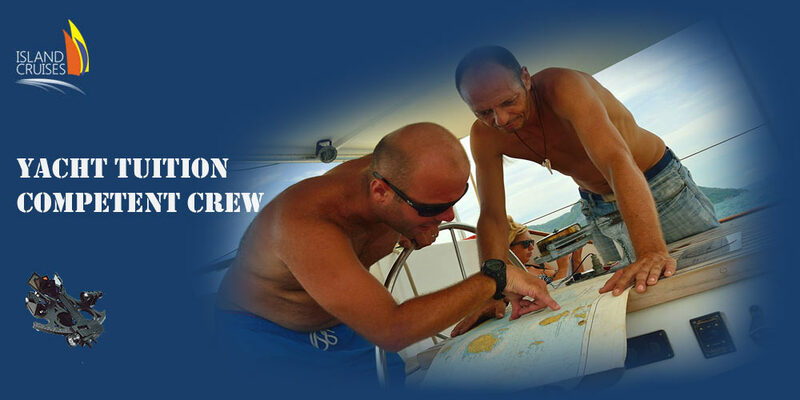 If you would like more details about the competent crew course in Koh Tao or you maybe have a general question about sailing courses or sailing Thailand, please don’t hesitate to contact Island Cruises here. 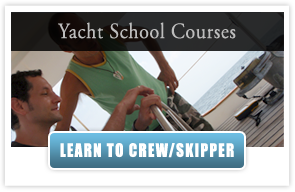 I am interested in doing your ‘Competent Crew Course Live Aboard’. Im a volunteer teaching in Chiang Mai at the moment but would like to learn about sailing here in Thailand before I go home. 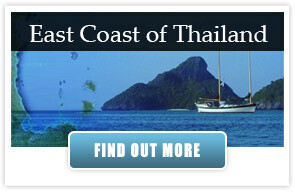 I cannot afford the 25,000baht course cost but I can afford 15,000baht, and i am happy to book and pay in advance. I know you also offer a non-live aboard option, but i believe this would cost me a similar amount overall due to accomodation/food expenses etc. And i would much rather learn on the live aboard option. I would like to do the course in late august/early september. Can you help me, or can we make an arrangement to suit us both? Thank you for your inquiry and interest to take the Competent Crew Course with us. come back from his trip, we will inform him and then he shall contact you back. Thank you. It will be our pleasure to serve you. I’d agree with you TUM, one of the best courses I have done, well worth the investment. And now I’m excited to join the competition. I’m new but I think what I’ve learned in my sailing courses was good. Thank you. gerne würden wir beide,Claudia 54 und ich 60, ggf. auch mit unserer Tochter Anna ( 27 ) mit Euch aktiv im Golf segeln ( Competent Crew Course). 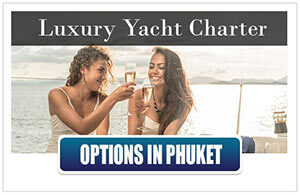 Ankunft Phuket: 07.02.2012, 18.00 Uhr, Abreise Phuket: 05.03.2012, 10.00 Uhr. Habt Ihr zwischen 09.02. und 03.02. noch Plätze frei ? Eine Woche, je nach Preis auch 2 Wochen, wären schön. Pleas contakt me, if you cannot read this mail. I will answere in english. Dieser Beitrag wurde in einer persönlichen Mail beantwortet. Benutzen Sie in Zukunft doch bitte unsere Kontaktformulare um uns zu kontaktieren. This comment was answered in a personal email. Please use our contact forms to get in touch with us in the future.